This crew of glitz and glam is everything but clueless. They're brilliant. The first on-demand beauty service to hit the streets of New York, GlamSquad, is prepping a–list mademoiselles and fashion elites in the comfort of their own homes. With just one click, a team of stylists will come to you and style you red carpet, date night, and gala ready. 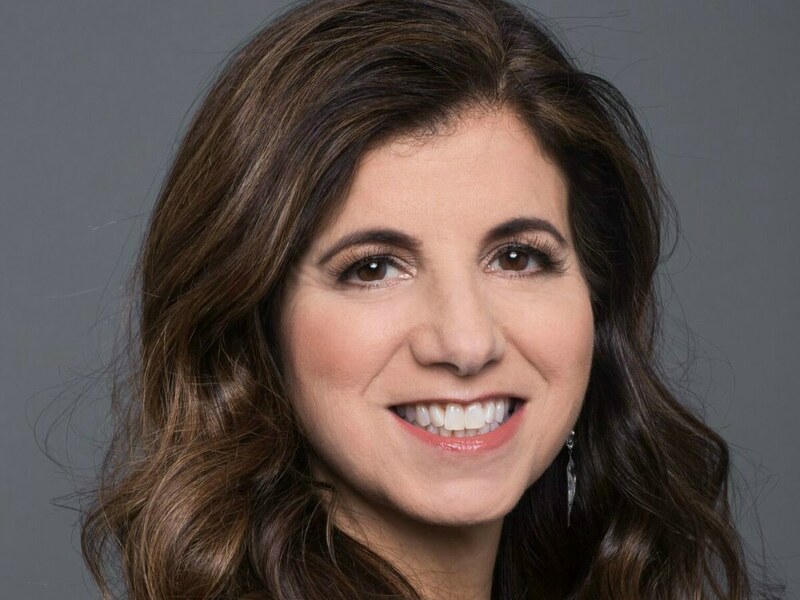 And Amy Shecter, GlamSquad’s newest CEO, is rebranding and refreshing this on-demand beauty app so it’s elevated to new heights. Amy, tell me about Glamsquad and how it works. AMY SHECTER: Glamsquad is a beauty services company delivering hair, makeup and nail services, in NYC, LA, Miami, DC, Boston and San Francisco/Bay Area. Glamsquad’s mission is to connect like-minded beauty enthusiasts through personalized in-home beauty experiences between our clients and our beauty professionals. Our talented and trusted beauty professionals are hand-selected and rigorously vetted to guarantee consistent, high quality results. Using our intelligent, data-driven technology, we expertly match our professionals and clients to ensure an elevated and customized experience with every appointment. Glamsquad believes that human touch and helping people look their best is at the heart of what makes people feel special. How did the company and brand come about? AS: Glamsquad launched in New York City in January 2014, offering on-the-go blowouts (and hair styling) to women around the city seeking the convenience of an affordable, yet luxurious, in-home beauty service to help them look and feel their best. In April 2014, Glamsquad launched makeup services in NYC, followed by new market launches in LA that October and Miami that December. Since then, we’ve continued to expand our service offerings and markets to meet the high demand. The brand has now added nail services as an option for customers. Why add another service and what can customers look forward too? AS: Customers are asking for us to add services and do more for them! They have asked for everything from brows to Botox. We are listening and curating our next service to offer. We just launched an eye patch add-on service with Erno Laszlo and it is blowing up! We are considering other services in the future! A veteran in the fashion industry and now the CEO of Glamsquad. Tell me about this position and what are your plans to revamp the brand? AS: I was a ‘power user’ of Glamsquad, and, to be honest, rather obsessed with the company. I spent a lot of time talking to the beauty professionals who came to my home about their jobs and the company. I thought it would be an incredible opportunity to be a part of a disruptive business that is so relevant in the 21st century. I spent the majority of my career in the fashion industry working in merchandising, operations and marketing. My strength is in building brands, expanding businesses and developing key partnerships for the companies I work with. Glamsquad is poised for hyper growth, massive expansion and disrupting a category that has limited competition. Making over Glamsquad, do you have plans to expand worldwide? AS: We just announced an exclusive retail partnership with CVS, which has given us the platform for hyper growth, so we can bring our intelligent, data-driven technology and unique personalization to connect like-minded beauty enthusiasts across the country. We have launched in four CVS BeautyIRL locations and have plans for further expansion in 2019. Will Glamsquad join the internet world of e-commerce? AS: Glamsquad always approached the business with the goal of being a disruptive, multi-channel beauty brand. The plan was to offer a new way to receive services and ultimately a retail channel for customers. The connection that’s created in the home by our highly skilled and talented beauty professional provides our customers with much more than just a beauty service. This dynamic relationship gives us a unique position to sell products in a personalized way to those that we service. We offer hands on education and trial for everything that we do and because of our trusted relationship, selling products is a natural next step. A service that caters to those seeking beauty service in the comfort of their own homes, how do you plan to elevate the customer’s experience? AS: We view each appointment as an experience as opposed to simply a transactional service. During an appointment, our goal is to create a "third space" with the client so she no longer feels like she is hosting the beauty professional, but rather she's collaborating with him/her to create this shared "sacred space.” We want the customer to feel like she can relax and enjoy the experience in her home. We consciously consider our protocol for every step of the in-home experience, from the beauty professional taking off their shoes before entering the home to the consultation we provide prior to the service. We continue to add new ways of elevating this connection between the beauty professional and the client. Get ready for some exciting additions to the in-home experience coming towards the end of this year. We are always thinking about ways to create an even more personalized and luxurious experience for our clients.